Five maps illustrating changes in the boundaries of Marion County, from 1710 to 1910. Note that Dillon County was once part of: the massive Craven County (until 1785); Liberty County; and Marion County (until 1910). 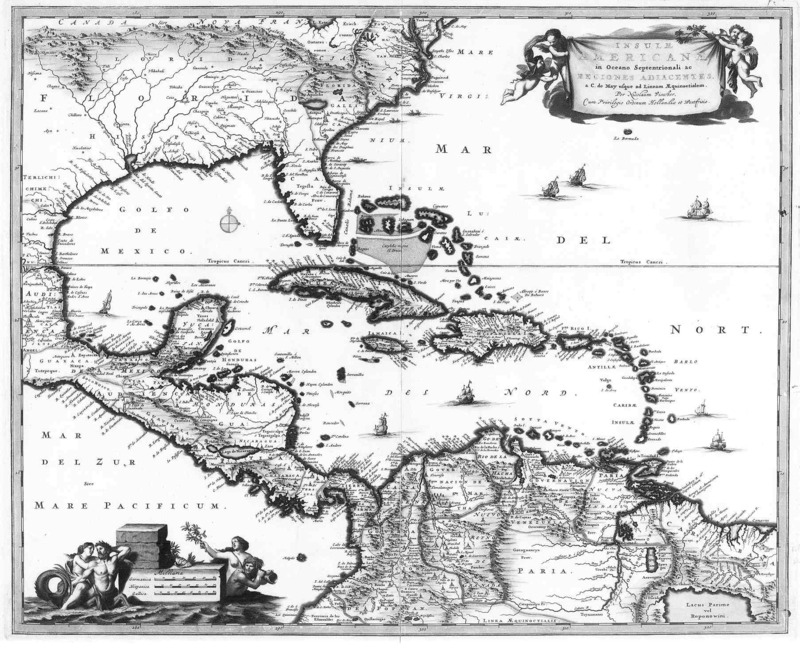 Throughout the colonial period, the Anglican Church parishes were also used as local administrative units, similar to modern election districts. The dividing line between parishes was sometimes altered and you will find petitions by local residents asking that they be allowed to remain in a former parish. Dillon County straddled the Parishes of Prince Frederick and Prince George. For more details, see County Evolution on the Marion History page. Note the territory claimed by France and the territory marked as "Florida"
The colonies huddled to the east of the Allegheny Mountains are more detailed-- Virginia has company now with "Carolina". Native American tribes shown. 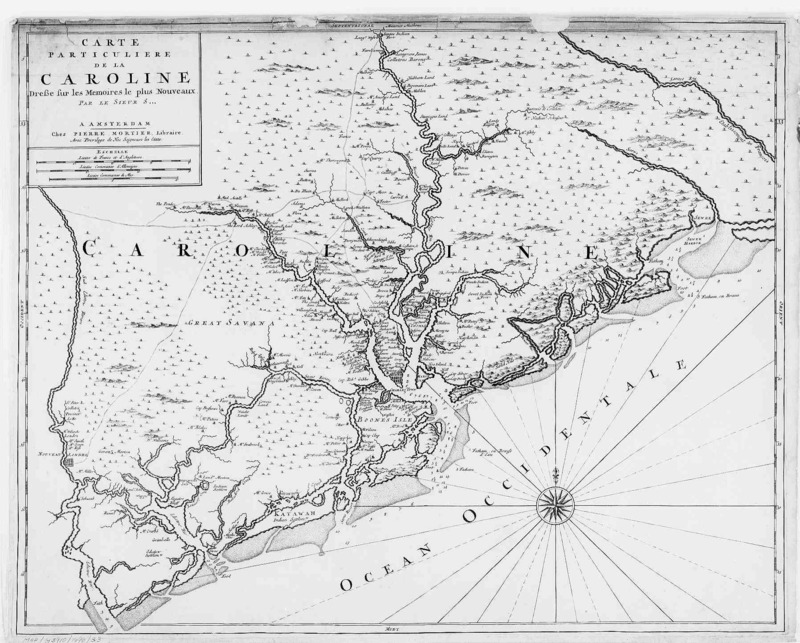 "A New and Accurate, Map of the Provinces of North & South Carolinas, Georgia"
"A Map of the Province of South Carolina, with all the Rivers, Creeks, Bays, Inletts, Islands, Inland Navigation Soundings Time of High Water on the Sea Coast, Roads, Marshes, Ferrys, Bridges, Swamps, Parrishes Churches, Towns, Townships; County Parish District and Provincial Lines. Humbly inscribed to the Hon'ble Lawlins Lowndes Esq'r Speaker of the rest of the Members of the Hon'ble the Commons House of Assembly of the Province by their most Obed't of faithfull serv't Jam's Cook", published 1773. 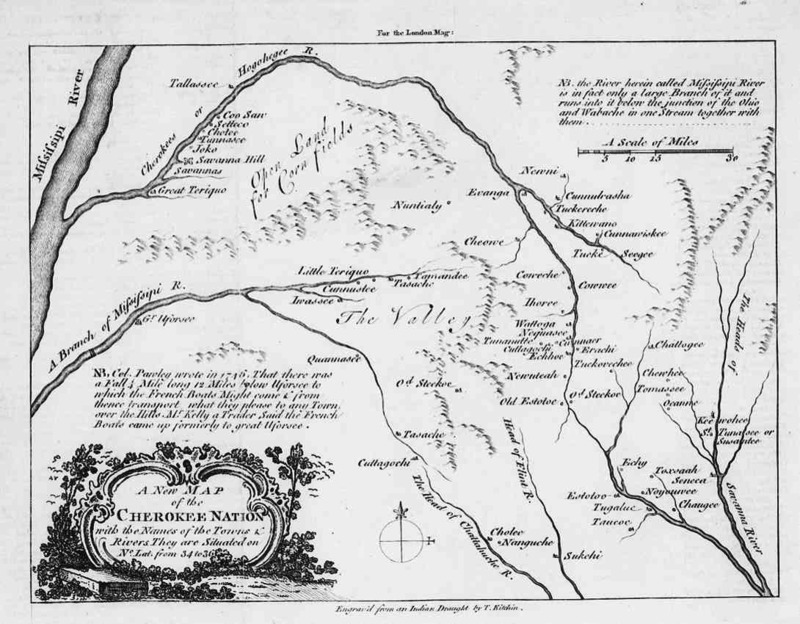 Cook's map is particularly helpful for genealogists in that it shows not only geographic features, but also the locations for individual landowners. Roughly drawn map but handy reference. 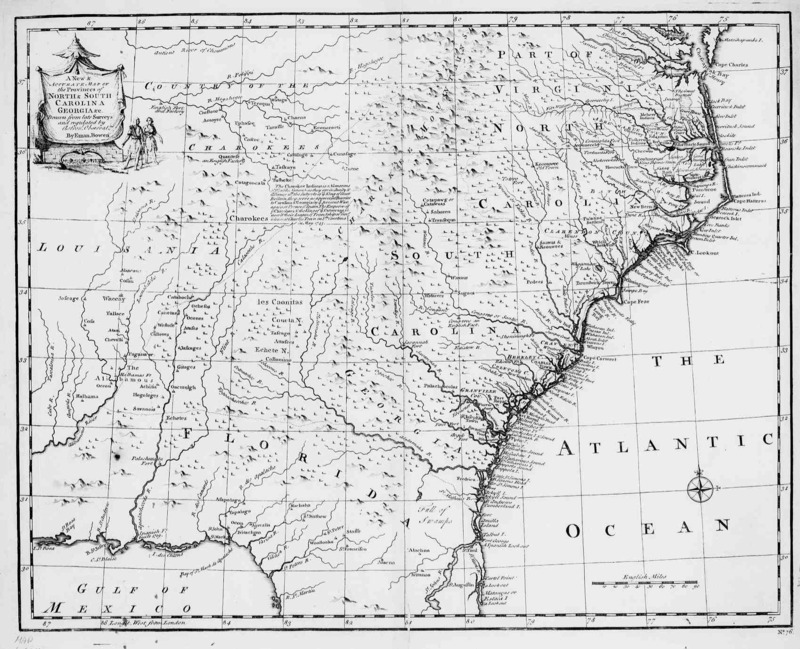 Entitled "A New and Accurate Map of the Province of South Carolina in North America", this map, published June 1779 in Universal Magazine Vol. 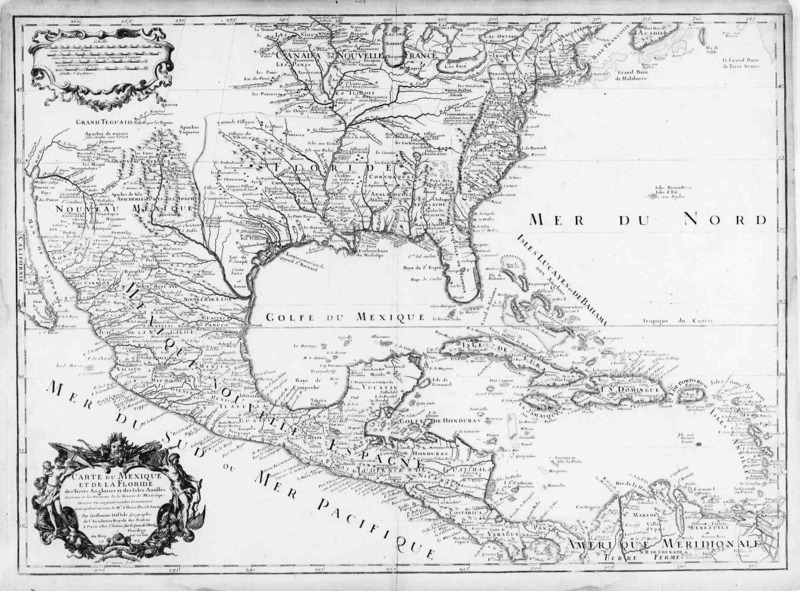 LXIV June 1779, Pg 281 shows a number of features I have not seen on other maps. Marion County as shown on an 1895 Rand Atlas map of South Carolina. You'll find a number of locations on this map that you might not have seen before. Click on the map to see Marion County. An extraordinary collection of online maps, from 16th century onward. If you're traveling to the area and want a highway map with directions you can print out, this is a handy site. Try this one. It allows you to enter a place name and provides locations throughout the U.S. with zip code, population data, and a link to a modern map of the locality (Tiger maps from Census Bureau). A great "where is it?" tool. Geographic locator for United States' towns, cemeteries, rivers, swamps, you name it. If you'd like to explore our area in topographic maps, you'll love this site. Uses USGS topo maps and you can select the features you'd like to see marked on a map. If you know of a map link or geographic link which you find helpful and do not see here, please let me know.